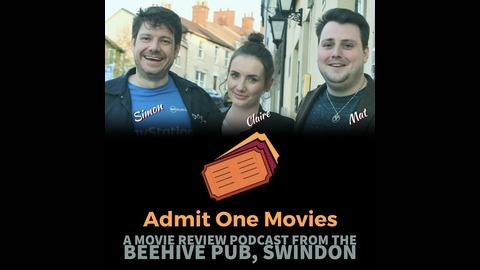 Simon Oxlade, Mat Purvis and Claire Dukes are film fans, not critics. Armed with an annual cinema pass they spend their own money and then meet up in the pub to review what they have seen. Full of warm, witty banter, and sometimes gloriously profane, these shows are like sitting in a pub with your mates complaining about movies. While they may know what an F-stop is, and what the heck a gaffer does, the team are honest film fans who reflect the opinions of the average cinema goer with their local multiplex at the end of their street. You won't get a score, but you will get an honest assessment of what two average Joes think of the flick and is it worth your money. Each show usually consists of some news, some gossip, if anyone of note has died recently there's a respectful obituary before the three or four reviews are delivered. In between there are insults, jokes, beer and smiles. We're not the best criticism podcast out there, but we're probably the warmest. 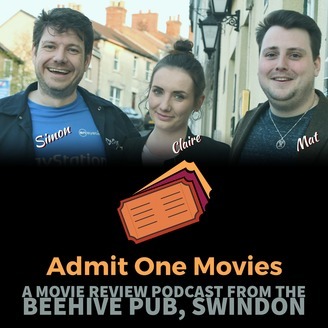 After the unfortunate death of Mat, and a ridiculously long time away, Claire and Simon return to Swindon's legendary Beehive pub for a look at the world of movies. Reviews of Ocean's 8 with THAT cast - Sandra Bullock, Cate Blanchett, Sarah Paulson, Anne Hathaway. Is it any good , well, er.... oh look just listen to it will you. Simon caught the Incredibles 2, Pixar's finest film finally gets a sequel - only 14 years after the original. Is it good? Yes, of course it is. Sicario 2 sees Benicio Del Toro get unleashed on the Mexican Drug Cartels by Josh Brolin's CIA enforcer. Shady dealing, high tension scenes and a cruel twist or two. Claire was given homework and dutifully watched Netflix exclusive film How it Ends starring Forrest Whittaker. How does it end? Badly, apparently. All combined with jokes, opinions and Claire loses a pint and several peanuts. The show is brought to you in association with Sudo headphones. Check them out as we've tried them and they are seriously good!!! We're available everywhere you find podcasts, so if you like us, please drop us a review. The one with Deadpool 2, Solo and Happy!